There are only two ingredients necessary for this recipe. 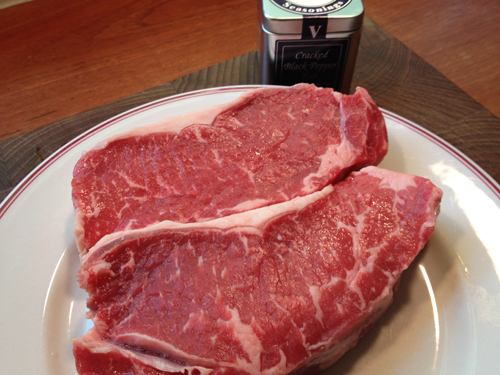 A good steak and Cracked Black Pepper Rub. The rub will seal in the natural juices from the steak while adding just the right amount of black pepper, onion and garlic flavor. 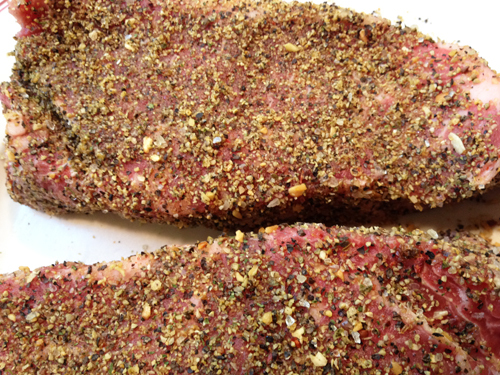 Rub the Cracked Black Pepper on all sides of the steak. 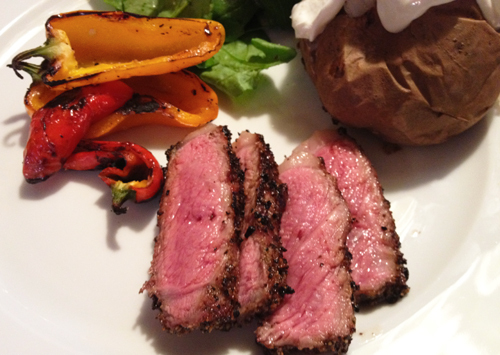 Let the Steak sit out for up to 30 minutes to allow it to come to room temperature. This will allow quick and even heating. Heat your gas or charcoal grill to medium-high. Place the steak on a well heated grill. Adjust these grilling times to cook the steak to your liking. 2 to 3 minutes per side for a 1/2-inch thick steak for medium. 4 to 6 minutes per side for a 1-inch thick steak for medium. 6 to 9 minutes per side for a 1 1/2 to 2-inch thick steak for medium. Make sure to only flip the steak once using tongs instead of piercing the meat with a fork. Take the steak off the grill and let it rest for 5 minutes to allow the juices to reabsorb. Serve with your favorite vegetable or starch.